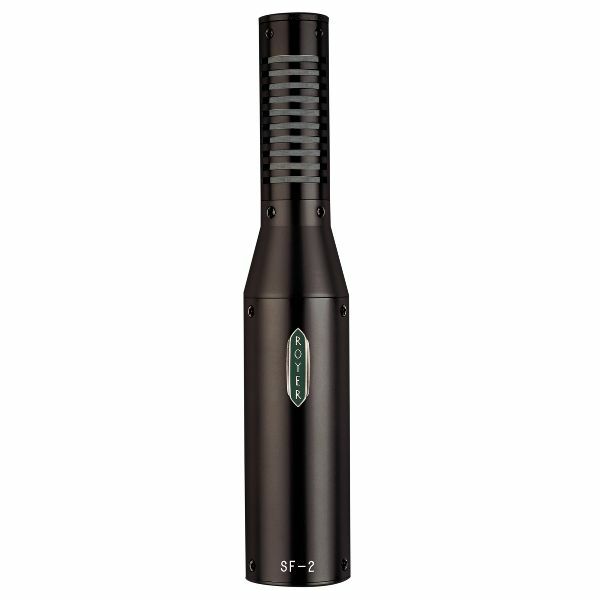 The SF-2 Active Ribbon Microphone is a compact, monaural, phantom powered active ribbon microphone, exhibiting flat frequency response and a well balanced, panoramic soundfield. The SF-2 has superb transient response due to its low-mass 1.8-micron ribbon element. Frequency response is excellent regardless of the angle of sound striking the ribbon, and off-axis coloration is negligible. The heart of the SF-2 is its ribbon transducer’s proprietary crossfield motor assembly. Comprised of four powerful Neodymium magnets and Permendur iron pole pieces, the cross-field design assures the shortest front-to-rear ribbon path length for maximum high frequency response. 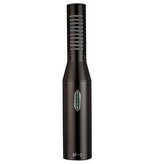 The SF-2’s active electronics produce an output comparable to studio condenser microphones, while providing an optimum load to the ribbon at all times. The low output impedance of the SF-2 enables it to operate with any microphone pre-amplifier of average gain and impedance characteristics, and makes it suitable for use with long cable runs.